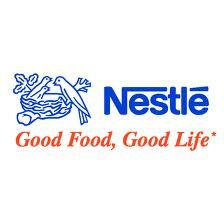 Nestle Academy is a summer internship program for current or recent college graduates. It is a 10-week program in Sales and Marketing and is located in the U.K. Students receive a competitive pay and may be provided with assistance for relocation. Students must have one more year of college before applying. The internship focuses on Fast Moving Consumer Goods (FMCG) and is for students interested in careers in sales and marketing. Interns in sales will work on real team projects and participate in presenting ideas to the management team. They will also receiving coaching in sales skills. Marketing interns will learn much about the many Nestle brands and receive valuable information about Fast Moving Consumer Goods. They can work on promotions that will actually be used by customers who sell Nestle products. All interns will have the experience of working at a large multinational, consumer goods company. Nestle is a world leader in the manufacture and marketing of products that include food, beverages, cereals, confectionery, pet foods and water. They have 276,000 employees in over 500 locations around the world. The location is usually in U.K.